There have been 595 protesters arrested in connection with anti-pipeline riots and protests. 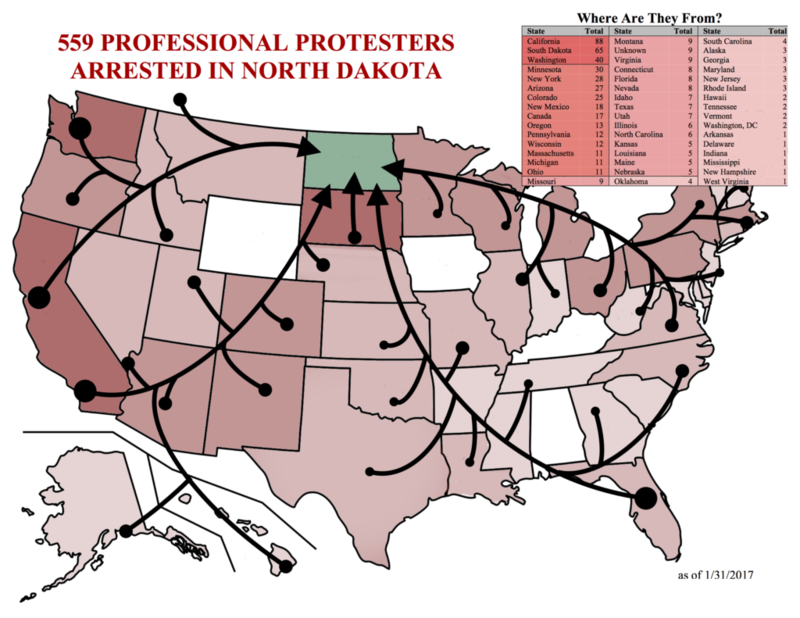 Just 6% of those protesters are from North Dakota, while the other 559 are from 46 other states stretching from Vermont to Florida to California. 192 of the arrested protesters have a total of 1,231 previous citations and charges for illegal activity. 26 protesters have a history of violence including domestic violence and child abuse. 33 arrested protesters have a history of theft, robbery, or burglary. 24 protesters have a history of driving under the influence of drugs or alcohol. 33 protesters have been previously cited or arrested for drug possession.